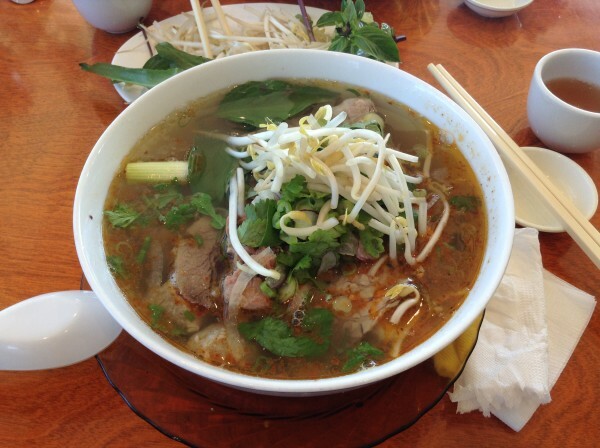 Correct me if I’m wrong, but I’m pretty sure everyone loves a good bowl of pho. It’s got this warm, comforting flavour that makes you feel right again, or at least helps you along the way to getting there (esp key in winter). 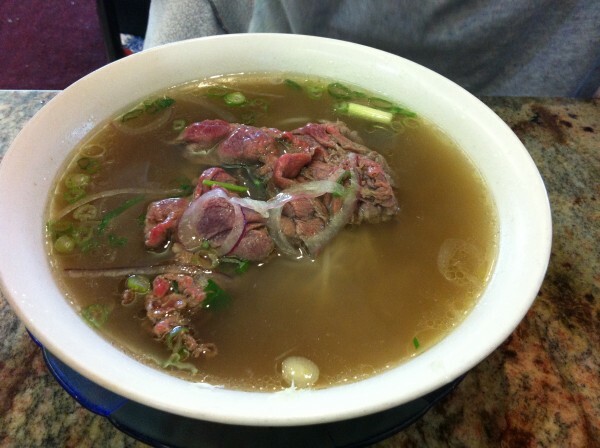 The broth is usually made from simmered beef bones, oxtails and onions but unsurprisingly, every pho establishment ends up with a different final product, some preferring to use more onion for flavour, while others rely more heavily on spices like ginger and cinnamon. In terms of toppings and add-ins, the offerings are typically bean sprouts, Thai basil leaves, red chili and a selection of various sauces. 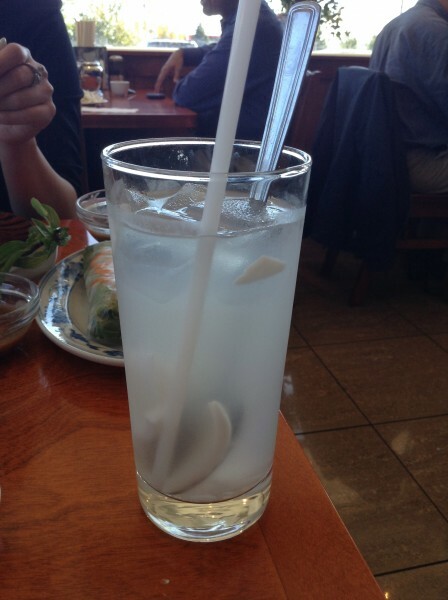 I like mine with extra lime, extra bean sprouts and a touch of sriracha. Since moving to Toronto, I’ve been to both Pho Hung locations (Kensington and Mississauga) several times and found them to be relatively consistent: convenient, affordable (note: cash only) and easy every time. The service is crazy quick – I remember getting in and out in less than twenty minutes after letting the server know I was in a bit of a hurry. 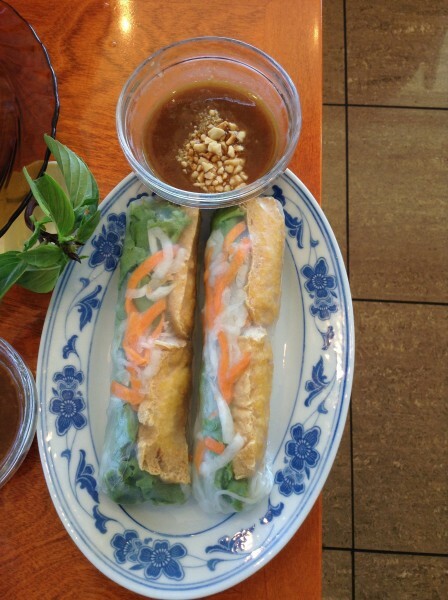 The spring rolls are large for size, stuffed with daikon, carrots and other fresh veggies. More than enough for one. Hung’s Special is the restaurant’s signature dish. A hot bowl of steaming pho arrives, laden with the works – tender, juicy pieces of tendon, springy bits of tripe and rare strips of beef. This is the one you want to get. The beef pho is a good basic that’ll do the trick if you’re in the mood for something more pared down. 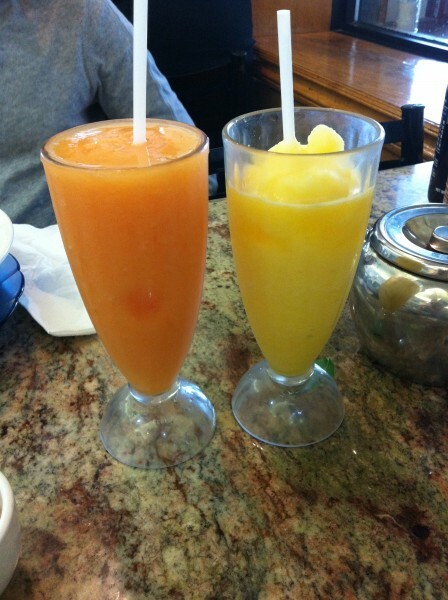 If you’re feeling like a dessert, the traditional three-coloured drink will do you right. 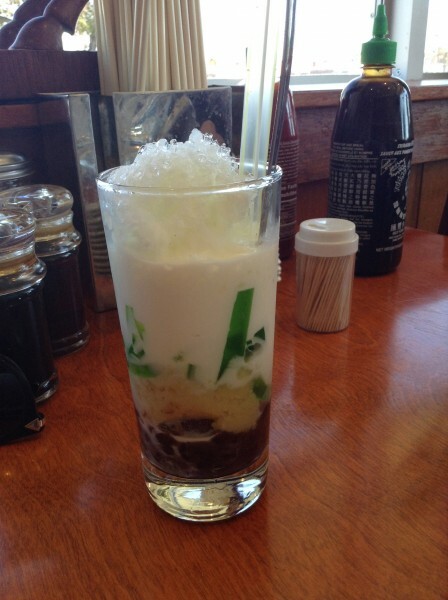 Layered red kidney beans, yellow mung beans, green grass jelly, ice and coconut milk prove to be a nice combo to cool you down and provide a light, refreshing sweet finish to your meal. Pho Hung is one of Toronto’s oldest pho restaurants and remains a standby classic. There when you need it, open when you want it to be and reliably good. What more can you ask for? Tags: Cheap, Chinatown, Dinner, Dundas, Lunch, Mississauga, Pho, Pho Hung, Spadina, Spring Rolls, Toronto.